Have you ever wanted to refer back to an old Windows upgrade you installed? It’s easier said than done. You can see the most recent handful of updates in the Settings app (go to Update and Security > Windows Update > View Installed Update History), but it doesn’t show system-wide upgrades (such as moving from Windows 7 to Windows 10 or installing the Fall Creators Update). Well, there are actually two ways you can see all the upgrades that you have installed on your system. They’re just very well hidden and not so well known. In this quick article, we’re going to show you both methods. Keep reading to find out more. To see you update history using the Windows Registry, follow the step-by-step guide below. As you can see from the image above, my last upgrade was on 21st October 2017, I installed build number 15063, and installed it in the C:\Windows path. Warning: The Registry Editor is a powerful tool. Making incorrect changes could have serious consequences for your system. Proceed with caution and always make sure you back up your Windows registry How to Back Up and Restore the Windows Registry How to Back Up and Restore the Windows Registry Editing the Registry unlocks some cool tweaks, but can be dangerous. Here's how to back up the Registry before making changes so they're easily reversed. Read More before making any changes. You can also use PowerShell to find similar information. To begin, launch PowerShell by pressing the Windows key and running a search. The results will show you all the previous Windows versions that were installed on your machine in a table. You’ll see both Windows 10 upgrades and upgrades from Windows 7 or 8 to the current release. 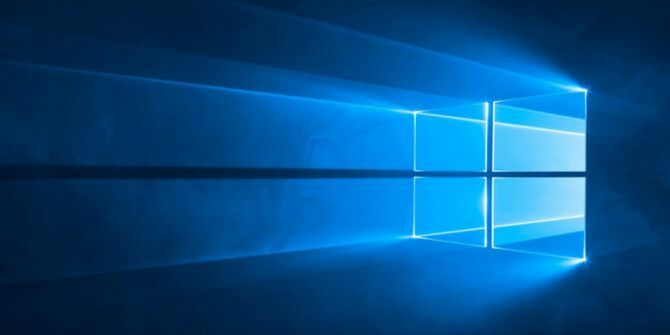 If you’re still not sure whether upgrading to Windows 10 is right for you, check out some the operating system’s most overlooked features The 10 Most Overlooked Windows 10 Features The 10 Most Overlooked Windows 10 Features Windows 10 has lots of features, but you may have overlooked some of them. Let's look at 10 Windows 10 features you don't want to miss! Read More . You’ll definitely be impressed. Explore more about: Troubleshooting, Windows Tips, Windows Upgrade. All the relevant information that has passed away in this blog, is very useful. if anybody wants to see the overall history of windows update so can see. if any problem to access past windows update history so take Windows 10 Help and Support if error is occurring.